Is ASL a Foreign Language? Many people have questioned if ASL is truly a foreign language. There has been many debate about this subject. But it seems that as far as America is concerned, ASL is considered a foreign language in some states. Like any other language, ASL ‘s grammer and punctuation is very different than spoken English. For example, “APPEAR tooth = PAIN ++BAD DENTIST GO NEED” is wrriten in gloss, which is a transcription of ASL. The meaning of the phrase is “It seems I have a toothache; I need to go to a dentist.” Only a person very fluent in ASL would recognize that sentence format. So, it is safe to say that ASL is quite a foreign language, but not because of its origin, but of it’s culture. Yesterday, I interviewed a young man named Diddy. Though he is not at all savvy on the subject, I was interested to hear his opinion about sign language. Me: Do you know anyone who has hearing parking? Diddy: I do not know anyone who has hearing problems. Me: What do you think when you hear about sign language? Diddy: I think of uncomfortable positions you have to put your hands in. Me: What do you know about sign language? Diddy: I know the mute use it as a way to communicate. Me: Do you think that sign language is a foreign language, like Spanish? Diddy: Yes, I think ancient natives may have used it during ceremonies. Me: If given the chance, would you want to learn sign language? Diddy: Yes, it is not a bad thing to know another language. From the interview, I can see that Diddy has some misconceptions about sign languages, but he seems interested in learning more about them. Simple Sign Language is an information source for sign language words and phrases. It was made for people interested in learning about the American Sign Language and some of what it has to offer. Simple Sign Language provides instructions on how to sign the following: introductory phrases and responses, alphabet, numbers, and some useful vocabulary words. Simple Sign Language will also have posts discussing different aspects of sign language and interviews with those skilled with sign language. Last week, I managed to have an interview with a classmate named Chad who is in my teaching class. He is hearing impaired and able to read and use sign language. Me: So, How long did it take you to learn sign language? Chad: I have been learning since I was 2 or 3 years old and it takes awhile to learn it. Me: How has sign language helped you in everyday life? Chad: Sign Language helped me understand what people are talking about. Sign language is a communication between the deaf world and the hearing world. Me: For you, what is the most hardest word or phrase to sign? Chad: At first it was big words, but now it is words or phrases that has many different meanings. For example, one sign for 2 or 3 different words. Me: What would your advice be for people who want to learn sign language? Chad: My advice is to take time to study and memorize. Practice daily, and find a deaf or hearing-impaired person and practice with them and they will help you and give you feedback. Today I am posting a guest post from a fellow classmate of mine. Hope you enjoy. According to research presented in the History of Sign Language post, sign language was originally created for hearing- impaired individuals. I know from experience that the value of sign language today, extends far beyond the hearing-impaired community. When I first visited this blog, I thought back to when my son was in school struggling with communication. His hearing was normal, but he had severe mental challenges. Speech therapy was always included in his Individual Education Plan (IEP), and when he reached middle school, one of his teachers decided to incorporate sign language as an objective, as well. The decision proved effective. Coupled with gestures, my son learned a few basic functional signs to convey his wants for food and to show his desires to transition from one activity to another. Today, as an adult with multiple challenges, he still remembers and continues to use the signs he learned. Individuals in need of assistance gain skills that would help decrease communication frustrations and increase emotional well-being and quality of life. People, who would be advocates (parents/teachers/others) for individuals in need, gain the capacity to interact successfully with the individuals. There are multiple resources for learning sign language, but probably one of the best ways to learn and become proficient is by interacting with other sign language users. Now we will look at the responses for the introductory phrases. This phrases could be for answering a question or replying what someone has done. Rub your chest in a circular motion. Place your right fingertips against your mouth move it forward in an arc. My: Tap your chest with your right hand. Name: Finger spell “H” with both hands. Place middle finger of your right “H” across your index finger left “H”. Is: Place your right little finger against your chin and move it forward. [Name]: Finger spell your name. Today I will show you how to “say” introductory phrases in sign language. These phrases could be used to introduce oneself or start a conversation. A simple wave of the hand or a two-finger salute. 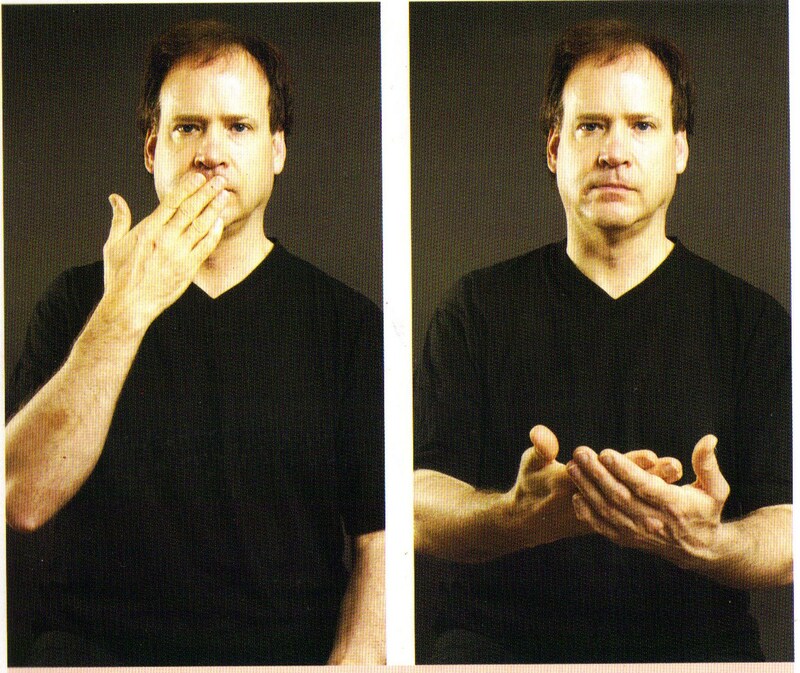 First, touch the lips with your right fingers and move them to your left palm. 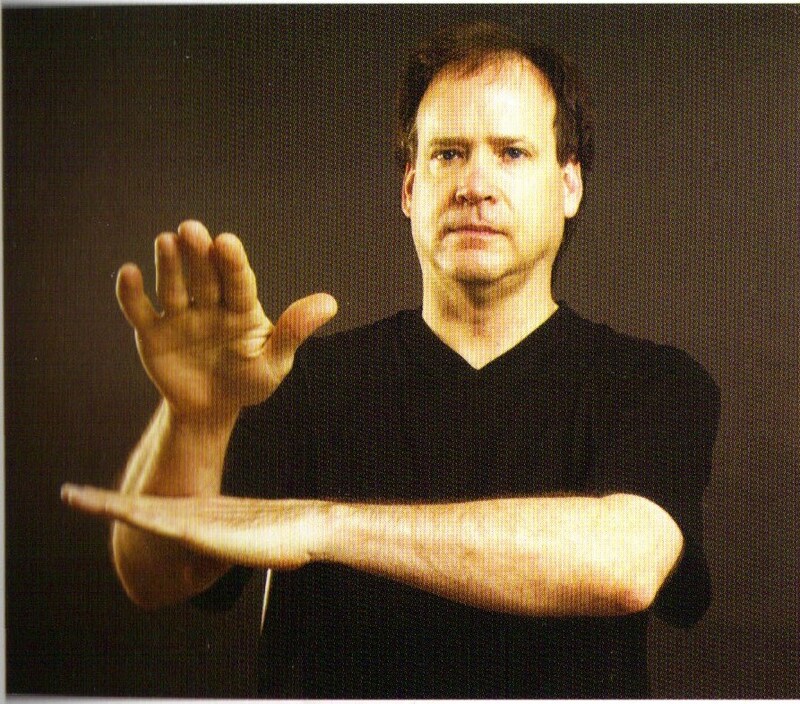 Then place right fingertips in crook of your left arm, raise left arm up in vertical position. First, touch the lips with your right fingers and move them to your left palm. 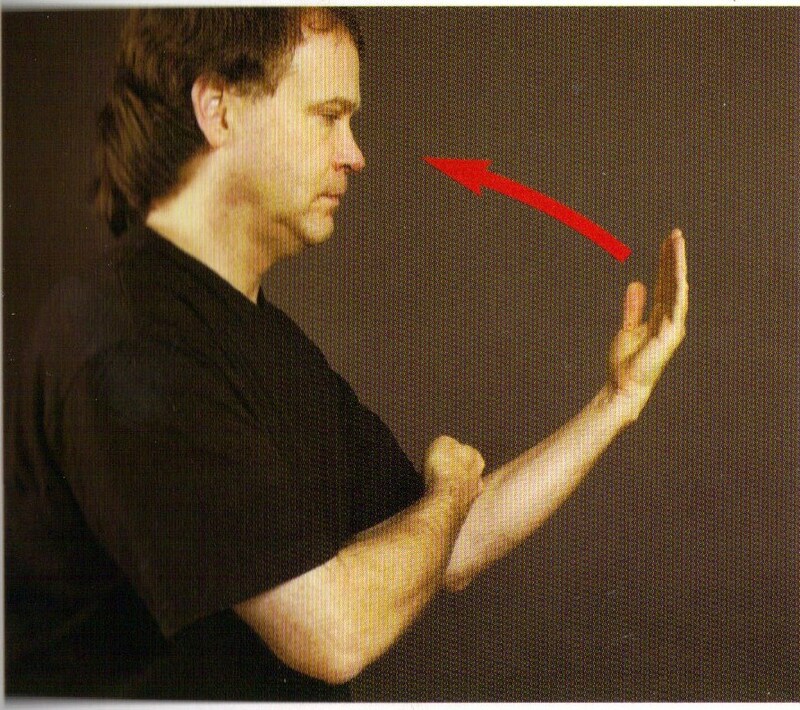 Put left arm in front of your body with your left palm facing down pointing right. Your right forearm, which is facing down, should rest on your left hand and point slightly upwards. How: Curve your hands back to back with fingers pointing down. Then rotate hands inwards and turn the fingers up. 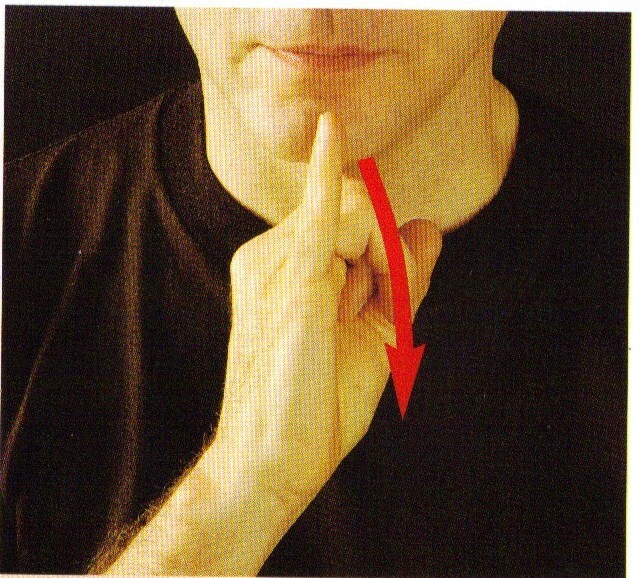 Are: Finger spell the letter “R” from your chin and move it forward. 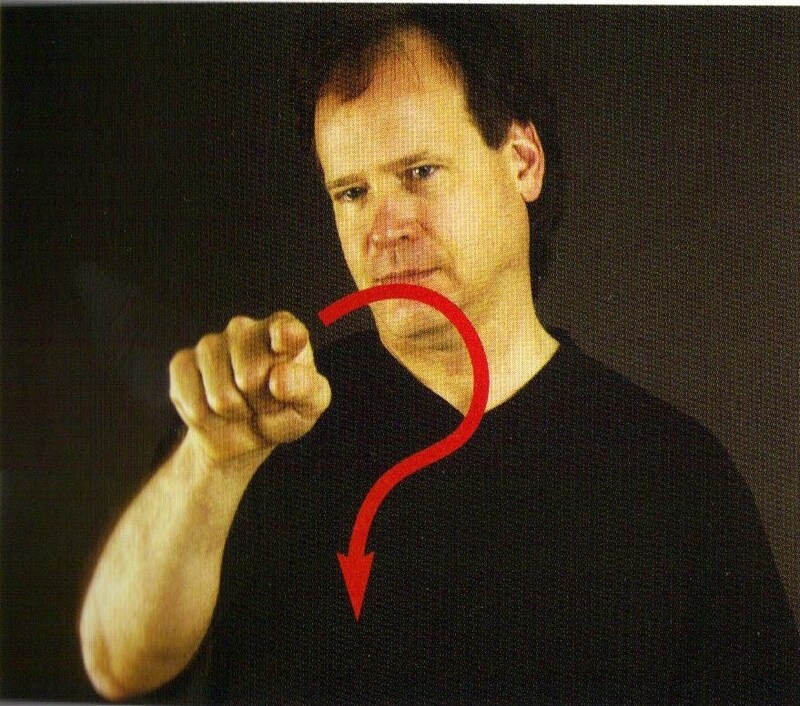 You: Point right index finger to who you are speaking to.
? : Form question mark in the air with your right index finger. What: Draw downward with tip of right index finger on your left palm. Palm should be facing inward. Is: Place your right little against your chin and move it forward. Your: Point your right palm forward. Today’s post will show you each of the letters of the alphabet. There are not usually used separately but might still be found useful form time to time. This is the letter A. 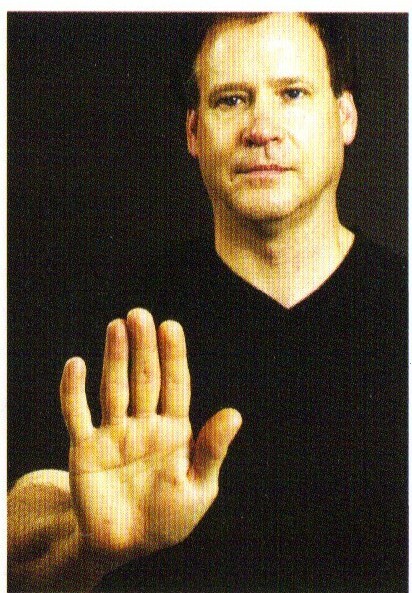 A closed fist should be made, all finger folded against the palm and the thumb is straight, alongside the index finger. This is the letter B. To do this, all fingers should be straight and the thumb folded across palm. This is the letter C. All fingers and the thumb is partially folded. The hand is turn slightly to the left so the viewer can see backward “C” shape formed by thumb and index finger. To for D, the middle, ring and little fingers should be partially folded. The tip of the thumb should touch the tip of middle finger. Make sure the index finger is straight. The hand should be turned slightly so the viewer can see a “d” shape formed by thumb, middle and index fingers. To form the letter E, The thumb must be folded across in front of palm but not touching it. All fingers must be partially folded with the tips of index, middle and ring fingers touching the thumb between the knuckle and the tip. To form F, The tip of index finger should be touching the tip of the thumb. Middle, ring and little fingers should be straight and slightly spread. To form G, The middle, ring and little fingers are folded down across palm. The thumb is straight but pulled in so that it is in front of the index finger. The index finger is straight and pointing forwards slightly so that it is parallel to the thumb, The thumb and index finger are not touching. The whole hand is turned towards the left and tilted slightly so the thumb and index finger are towards the viewer and pointing up at about 45 degrees. To form H, The ring and little finger are folded down. The thumb is folded over the ring and little fingers. Index finger and middle finger are straight and together. The hand is tilted over so that the fingers are horizontal and pointing to the left. To form an I, The index, middle and ring fingers should be folded down. Thumb is folded across index middle and ring fingers. The little finger is straight. To form J is the same as forming an I but the hand is moved so that little finger draws a “J” shape. The motion is a curve moving forward and then right. The hand turns to the right. To form K, The ring and little fingers are folded down. Index and middle finger are straight and slightly spread. Thumb is straight and pointing up to the middle finger. To form L, The middle, ring and little finger are folded down over palm. Index finger and thumb are straight. The thumb is sticking out sideways at 90 degrees to index finger to form “L” shape. To form M, The little finger is folded. Thumb is folded across to touch little finger. Index, middle and ring fingers are folded down over thumb. 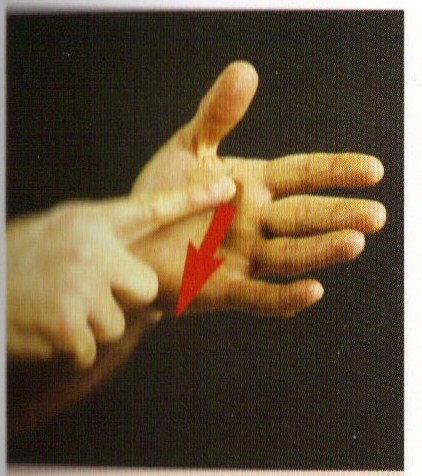 Similar to M, N is formed by folding the little and ring finger. Thumb is folded across ring and little finger. 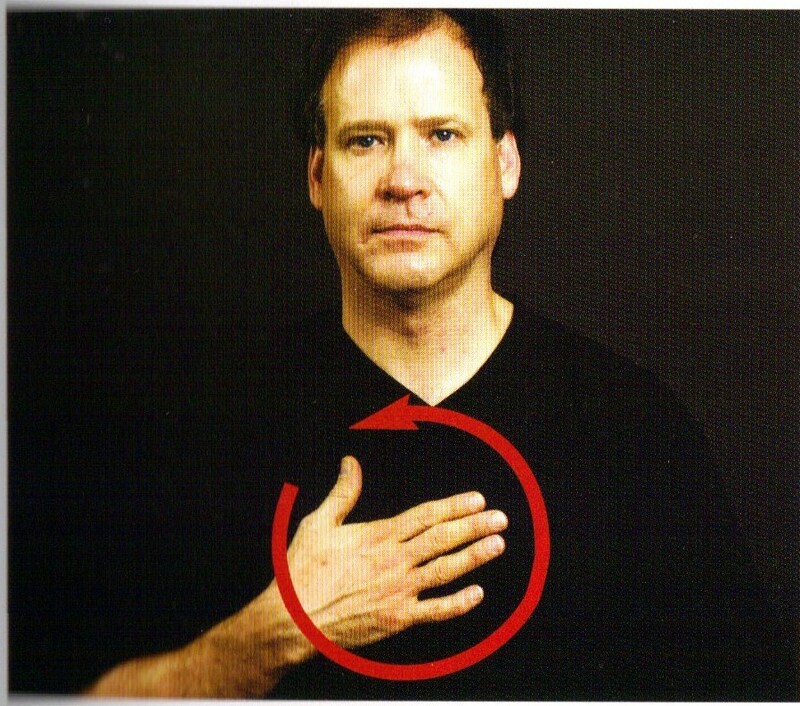 Index finger and middle finger are folded down over thumb. To form O, All the fingers are partially folded. The thumb is partially folded and tip of thumb is touching tip of index finger. The hand is turned slightly so viewer can see “O” shape formed by thumb and index finger. To form P, The ring and little finger are folded down, leaving the index finger is straight. The middle finger is straight but pointing forward so that is at 90 degrees to index finger. Tip of thumb is touching middle of middle finger. Hand is turned to the left and twisted over so that index finger is horizontal and middle finger is pointing down. Viewer can vaguely see a “P” shape formed by middle finger and thumb. To form Q, The ring and little fingers are folded down across palm. The thumb is straight but pulled in so that it is in front of the index finger. The index finger is straight and pointing forwards slightly so that it is parallel to the thumb. The index finger and thumb are not touching. The Middle finger is bent down and across to the right of the thumb (This may be difficult to do). The whole hand is turned towards the left and tilted so the thumb and index finger are towards the viewer and pointing almost straight down. To form R, The ring and little fingers are folded against the palm, held down by the thumb, The index and middle finger are straight and crossed with the index finger in front. 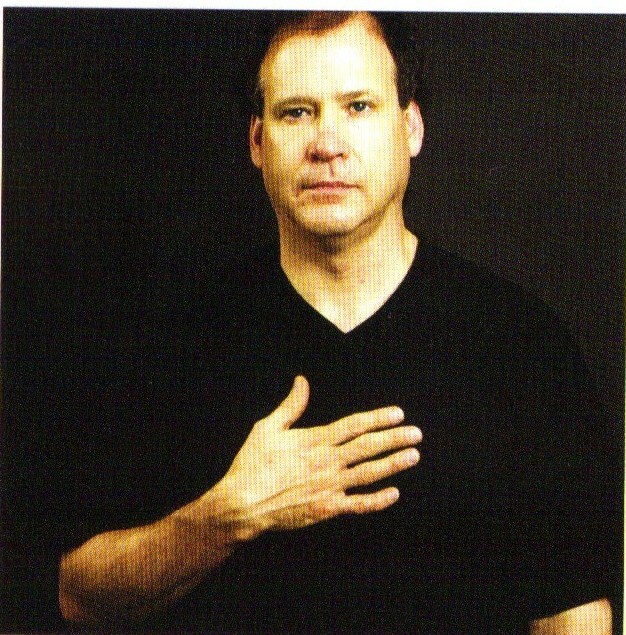 To form S, Clench your hand into a fist. All fingers should be folded tightly into the palm. The thumb is across index and middle fingers. To form T, The middle, ring and little fingers are fold down across palm. The thumb is folded across middle finger. Index finger is folded over thumb. To form U, The ring and little finger should be folded against the palm, held down by the thumb The index and middle finger are straight and together. 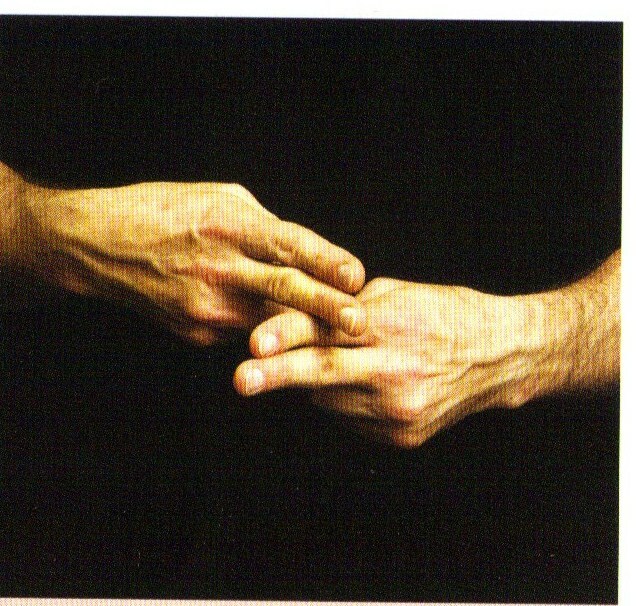 Similar to forming U, Forming V has you folding the Ring and little finger against the palm, held down by thumb. The index and middle finger are straight and spread to form a “V” shape. To form W, The tip of little finger is touching tip of thumb. The index, middle and ring fingers are straight and slightly spread like a “W”. To form X, The middle, ring and little fingers are folded down. The index finger is bent at both joints. Thumb is pulled in and slightly bent at the joint. The hand is turned to the left so view can see thumb and index finger. To form Y, The index, middle and ring ringers are folded against the palm. The little finger and thumb are straight and spread wide. Finally to form Z, The middle, ring and little fingers are folded. Thumb is folded across middle and ring fingers. Index finger is straight. The hand is moved so that the tip of index finger draws out a “Z” shape. The motion is in 3 steps: from right to left, from left to right and forward, and from right to left. Now I would like to show you the history of the American Sign Language. Somewhere in the sixteenth Century- Geronimo Cardano, a physician of Padua, in northern Italy, proclaimed that deaf people could be taught to understand written combinations of symbols by associating them with the thing they represented. 1620- Juan Pablo de Bonet published the first book on teaching sign language to deaf people that contained the manual alphabet. 1755- Abbe Charles Michel de L’Epee of Paris founded the first free school for deaf people. 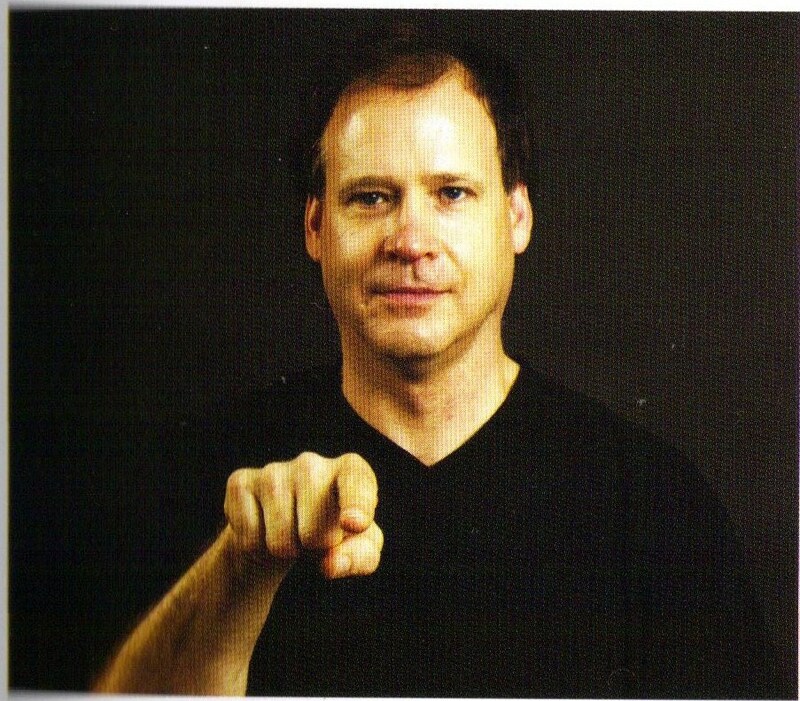 He taught that deaf people could develop communication with themselves and the hearing world through a system of conventional gestures, hand signs, and fingerspelling. He created and demonstrated a language of signs whereby each would be a symbol that suggested the concept desired. 1778- Samuel Heinicke established the first public school for deaf people that achieved government recognition. He taught the method of speech and speechreading. 1817- Thomas Hopkins Gallaudet founded the nation’s first school for deaf people, in Hartford, Connecticut, and Laurent Clerc became the United States’ first deaf sign language teacher. 1863- By now 22 schools for deaf people were established throughout the United States. 1864- Gallaudet College, in Washington, D.C., was founded. It now remains to be the only liberal arts college for deaf’ people in the United States and the world. Now it is the 4th used language in the United States. Hello, My name is Kenechukwu Atuchukwu, but most people call me Kaycee. I am a junior at University of Texas at Dallas. I am majoring in Mathematics, earning a Bachelor’s degree. I am also in the Uteach program in order to receive a Teaching certificate. The program is preparing me to go into the educational field as a teacher in the subject I am majoring. One reason I am making this blog is because it seemed appropriate as I will need to communicate to a as a soon to be teacher, I feel that communication is an important part of being a teacher. There are many obstacles for a teacher to communicate with a class. One of them is a student being deaf, or having hearing problems. It would take about 6 years or longer to learn sign language. To learn some vocabulary words would take about 6 months. (Easy Sign Language Lessons) A teacher, or anyone else, would benefit with at least learning some words and phrases in order to help more in breaking boundaries of communication. Another reason I am doing this blog is simply I am curious on the subject. I have see sign language being used on different occasions. I would like to experience learning some bit of the language and also experience another different culture. This blog will not be a substitute for a full course lesson on sign language. This will have instructions on how to “say” words and phrases in sign language and also learn more about sign language. I hope to learn about the unique language with all of you.